Google are always working hard to find ways of making cool and exciting things that we can use and people often take for granted that the amazing products and services that Google provide are normally FREE. Google have been working hard in the background with Google Voice Search and this is now fully functional and being advertised by Google in the mainstream advertising space. “Ok Google” voice search which kicks Google into action when using the Google app or Chrome allows you to ask questions and get answers making search simple. For example “OK Google, Where is Chameleon Web Services?” which will then allow opening times and directions. 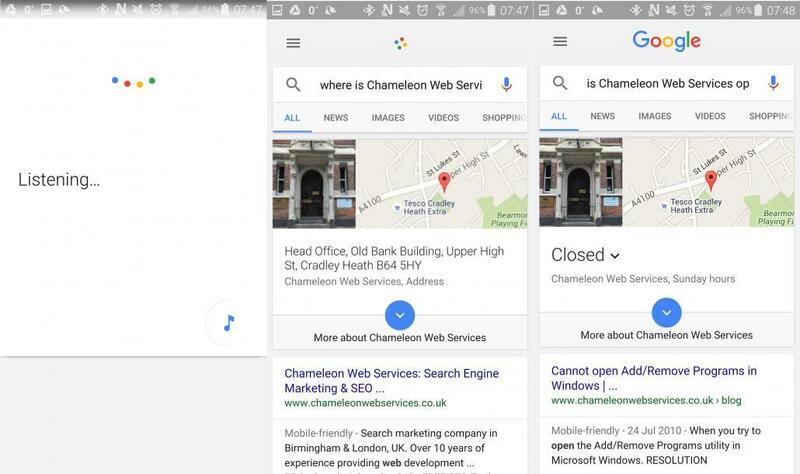 “OK Google, Is Chameleon Web Services Open?” which will let you know the business hours on that day. You can also create reminders for example “Ok Google, remind me to call Chameleon Web Services Tomorrow” and this will set a reminder for tomorrow. If you have not tried Google Voice Search it is simply amazing in our view and very useful especially if driving as you can be sat in traffic and ask a question without typing on the keypad. 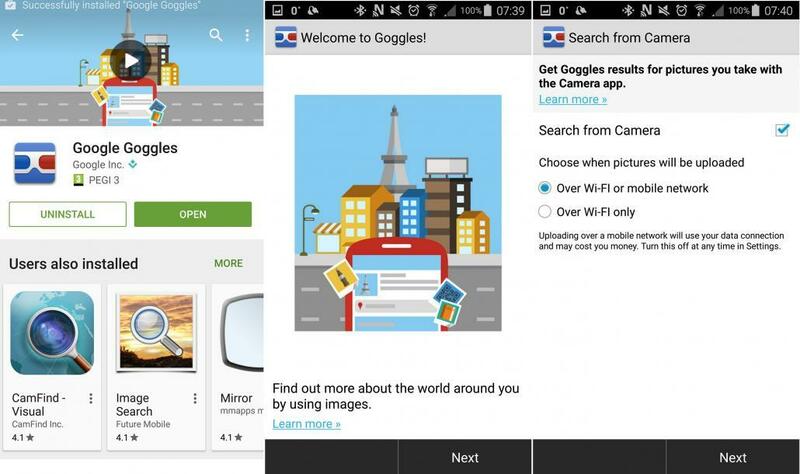 Google have also created Google Goggles and this enables photos to provide search results. For example if you open the APP and photograph a Coffee Cup Jar it will carryout analysis of the photo and can pull of the wording and then search in Google for the most relevant results to what the photo was. What is Google Goggles Used for? 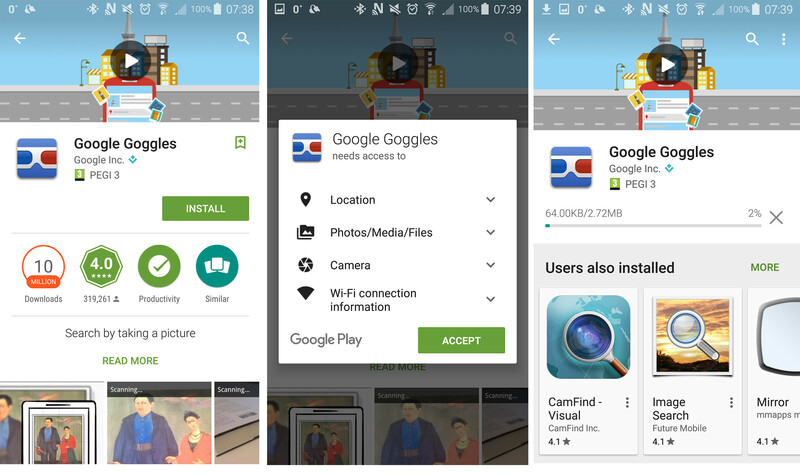 Google Goggles is an APP that creates a smart phone to become an image recognition device and then passes the data discovered into a Google search result. The Google Goggles mobile application was developed by Google for searches based on pictures taken by the smart phone to provide quick access to information such as a famous landmark searches for information about it, or taking a picture of a product’s barcode searches for information on the product. When using Google Goggles it is recommended to take photos Horizontal as they work better than vertical photos. Once the photo is taken then basically if Google can recognise the image in the photo taken it will pass the user search results to inform the user about the photo. To use Google Goggles on an Android device is simple. Go to the Play Store and search Google Goggles. Once installed open the APP and simply take a photograph of what you are looking to find information about and Google will do the rest. 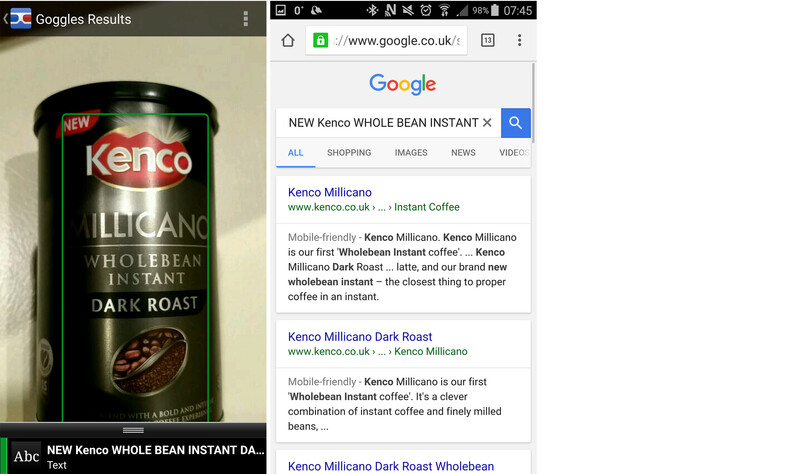 In the example of Google Goggles above we photographed a coffee jar to see what Google found. If you are ipad or iphone user then you can use Google Search Image in a different way to Android user. Firstly you will go to the Safari web browser. Once open you need to type “www.google.com/ncr” on the address bar and tap Enter key. This will open Google.com on Safari for iOS. When you have the website loaded you need to select the additional options by pulling down from the address bar. You must “Request Desktop Site” from the menu and then the Safari desktop version will be loaded. Now select the Images tab on the top right corner which will open the Google Image Search and this will then allow you to use Camera icon on the search bar which enable the Search by Image functions. If you want to search using an image URL, just paste the link in the Paste Image URL tab and tap on Search by image button and then go to the Upload an Image tab and select Choose File button. You can now select to take a photo using the camera or use an existing photo in the Library. When did Google Glass come out? Google launched in April 2013 Google Glass and the first launch was with the Explorer Edition. This was made available to Google I/O developers only in the United States at cost of around $1,500. Google actually began testing Google Glass in April 2012. Back in April 2012 at the Foundation Fighting Blindness event in San Francisco Google’s Sergey Brin wore a prototype of the Glass to demonstrate what was coming. So what is Google Glass?, it is a wearable computer that contains an optical head-mounted display. This functions as a heads-up display and provides voice activation control to allow users to see and interact with information in a hands-free operation.